In November 2017, a photographer and stylist flew down from Sydney to shoot the interior of my home for a book. They didn’t know that in anticipation I had studied my Pinterest “Interiors” board daily for two months, bought the latest copy of British Elle Decoration, borrowed countless World of Interiors magazines, and two books by Ilse Crawford. I asked a shop called Modern Times to loan back four paintings that I had consigned them. I purchased overpriced pot plants, gave my Ikea Billy bookshelf away on Gumtree, and replaced it with grungy brown furniture from my studio. I forked out for a drawing by a French artist who lives in London, and a painting by an illustrator who lives in Norfolk, only one of which arrived before the shoot. I hid my ironing table, phone charger, dirty apron, tea towels, underwear, a packet of Panadol, unread super documents, grocery lists, my boyfriend’s rabbit fur moccasins, supersized Listerine and hair gel. I put away my Thank You pump soap and replaced it with an Aesop Resurrection. And I cleaned above the bookshelf. But I forgot to clean the windows. BIO: Sandra Eterovic studied art history at university. She worked as a textile and graphic designer for over fifteen years, notably for children’s brand Seed. Over the past eight years Sandra has been working as a freelance illustrator, making objects to sell online and in shops, and painting for exhibitions. 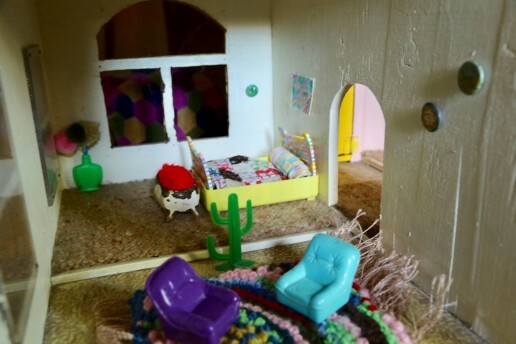 When presented with a dollhouse, it is only human to want to play out imagined experiences and stories. If we are willing to take a bite of the apple, we can be flung far from reality into an imagined work. This exhibition by Ruby Hoppen does what is most obvious and tempting – it plays house. 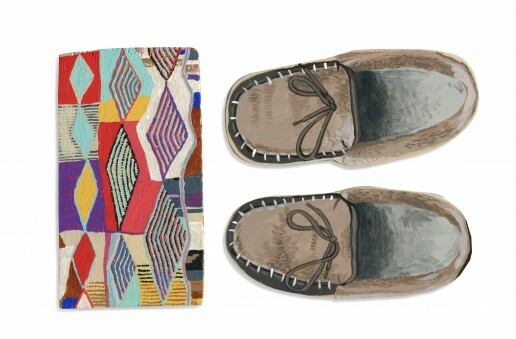 A Room of One’s Own gives us an opportunity to apply value and thought to handmade textiles. Changing the scale of objects to make them art is not a new concept, however perhaps it is still difficult to contextualise an object of domesticity as art. 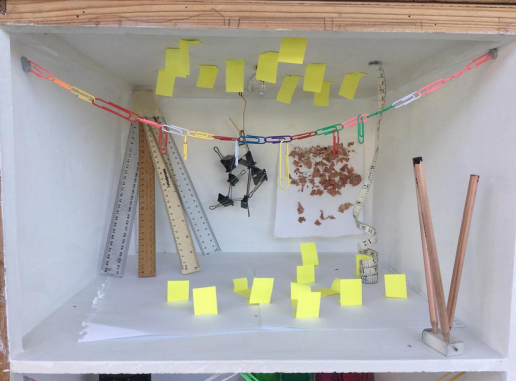 The beautiful thing about the dollhouse being a gallery space is that no matter how literally an artist takes the task of filling it up, the art is in direct relation to the architectural space (a toy) which is subverts the idea of the traditional “white cube” gallery. The rooms in the dollhouse serve as an allegory for the four chambers of a heart. Each room is connected yet compartmentalised, allowing for the flow of imagination and play. The handmade or found object furniture, rugs and quilts in miniature trigger an ingrained desire to project a domestic narrative onto the scene. An invitation to play. 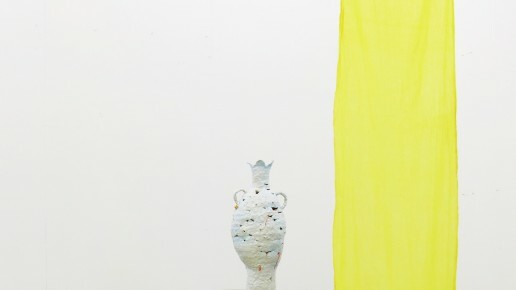 Tessy King is a Melbourne based artist working predominantly with ceramics and installation. Tessy explores the display process as a method within her practice and uses the ceramic vessel as the central object. These vessels are exaggerated and deconstructed, referencing antiquity, garden ornaments and domestic ware while bringing into question notions of value and meaning around the prosaic. 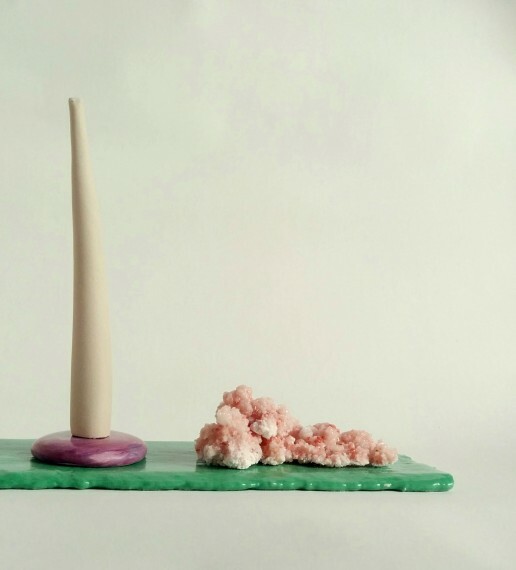 Tessy builds structures for viewing these objects out of additional materials which play with the idea of display and its role in the way viewers understand objects. The idea of the window display is central to this exhibition at the Dolls House Gallery. Sloppy ceramic vessels of varying sizes are displayed with props that notion to the process of ‘window dressing’ and shop front curation. By exposing this commonplace and accepted form of enticement the work will gently examine the place between ‘selling’ and ‘displaying’ works of art. 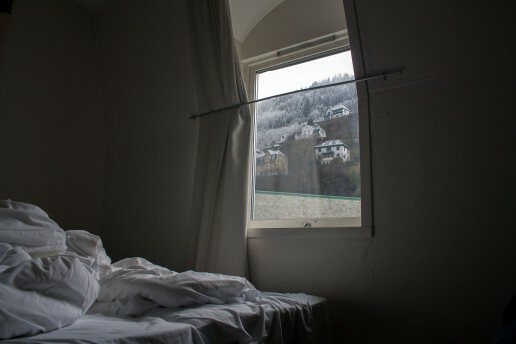 Dreaming of Norway is an exhibition of intimate photographs by Stephanie Leigh that portray two different beds shared with her once lover in Norway. These photographs explore ideas of love, loss, affliction and desolation. Together, the two works indicate a void space and emptiness in relation to people, or lack thereof. Their depiction highlights the manner by which they have in themselves become a ‘non-item’, useless in their intended function and suffering from loss. Stephanie Leigh is a Melbourne based artist. Working with painting, sculpture and installation, Leigh’s work draws on tropes of the historical and modernist canon such as the reclining pose, ideas about beauty, the naked fetish and cultural and political oppression to renegotiate female objectification. For her exhibition at The Dolls House, Leigh is focusing on the personal intimacies of relationships, heartbreak and loss.